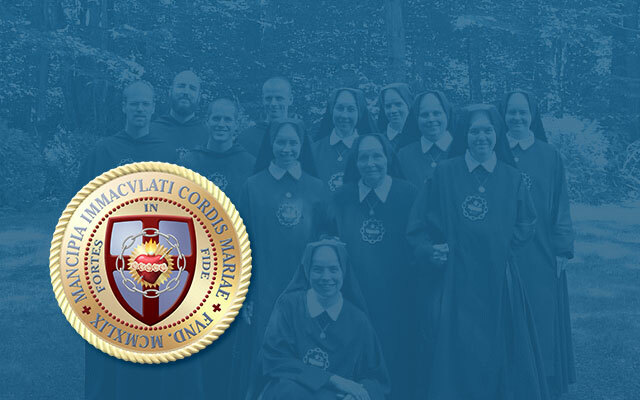 Saint Benedict Center, Richmond, New Hampshire (EIN: 02-0528845), is a non-profit New Hampshire charitable corporation. Contributions to Saint Benedict Center are tax-deductible under section 501(c)(3) of the Internal Revenue Code. 1. Make a secure online donation (look to the right). Donate any amount through authorize.net with the button below. 3. Call 603-239-6485 to donate using a credit or debit card (MC, VISA, Discover, American Express). 4. Donate stocks, bonds, or other securities, possibly sparing yourself some or all of the capital gains tax (details here). 5. You can also remember Saint Benedict Center in your will. Please see our “Planned Giving” page. 6. Finally, if you are buying or selling a house, or any commercial or residential property, you can help us financially without any cost to yourself by using the professional services of Real Estate for Life. Those who would like to contribute regularly are invited to join the Queen’s Tribute program. Queen’s Tribute supporters pledge regular monthly donations either automatically from their credit or debit cards, or through monthly reminders mailed from the Center. Queen’s Tribute donors have the Holy Sacrifice of the Mass (Traditional Roman Rite) offered for their intentions once a month. Contact us to see how to become a Queen’s Tribute donor.